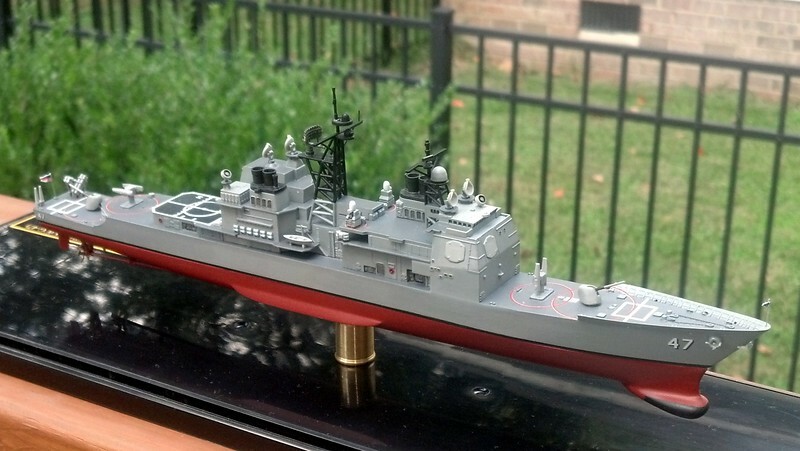 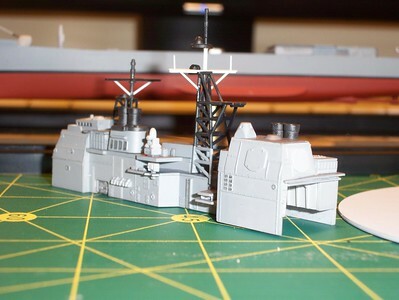 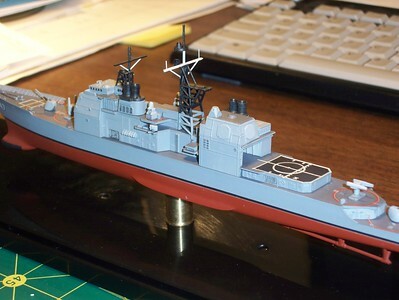 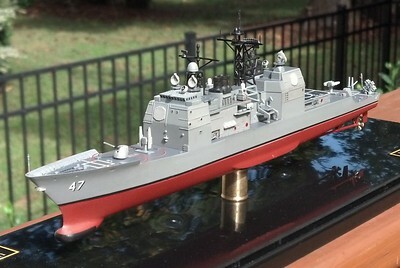 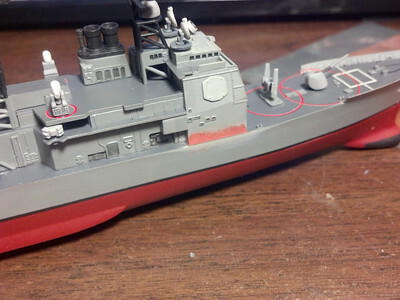 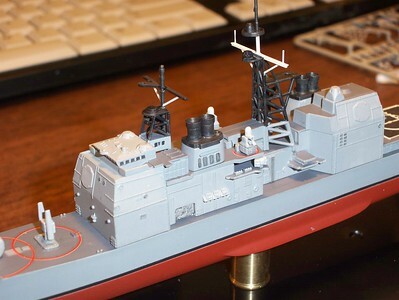 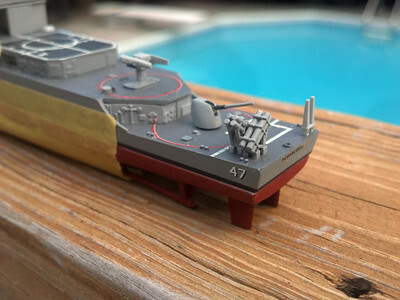 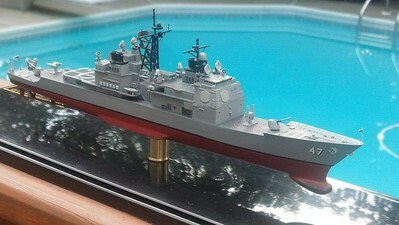 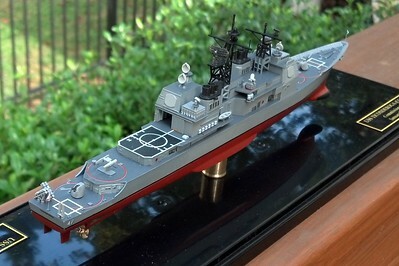 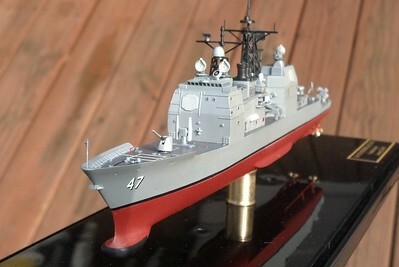 USS Ticonderoga (CG-47) in 1/700 from Skywave kit (and pilfered lower hull.). 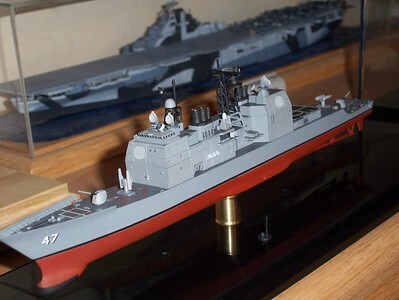 090112: CG-47, with her new hull and rebuilt mast, sitting atop her display pedestal. 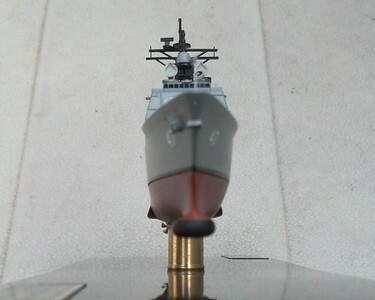 090112: Emergent repairs to 'storm damage' on CG-47 main mast & yards. 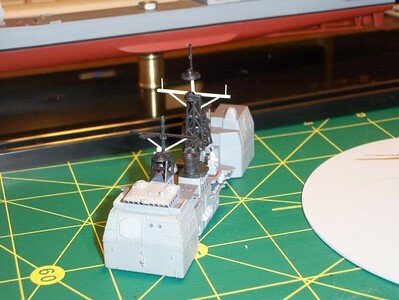 090112: Emergent repairs to CG-47 main mast & yards. 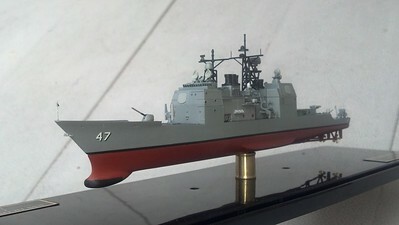 090112: CG-47 in her case. 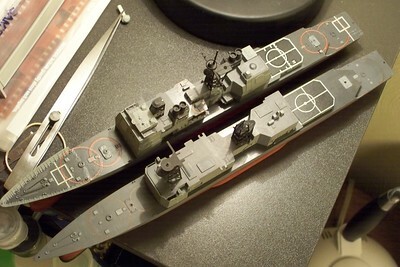 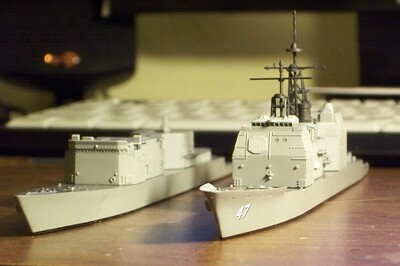 081120: Skywave CG-47 (waterline kit) and Arii DD-983 (full-hull kit) in 1/700. 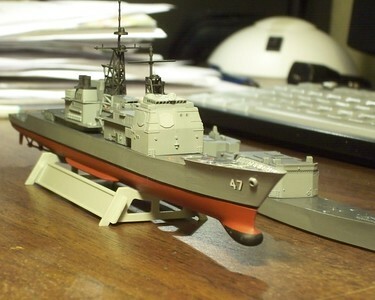 081120: Skywave CG-47 sporting her own new hull, borrowed from a still-in-the-box Dragon DD-963. 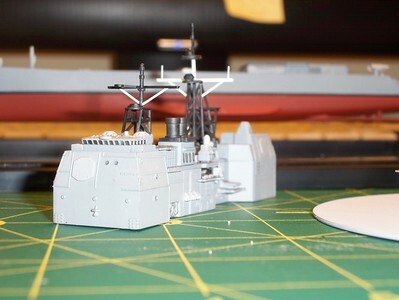 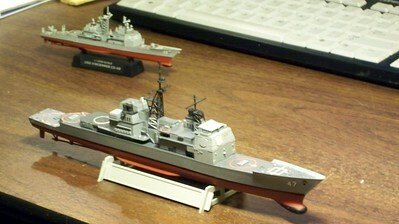 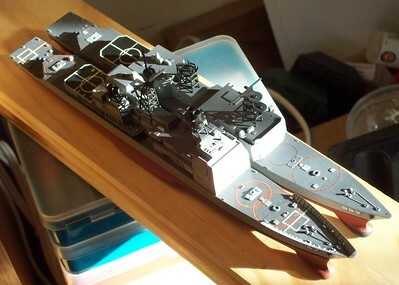 DD-963 shown is old Arii full-hull kit. 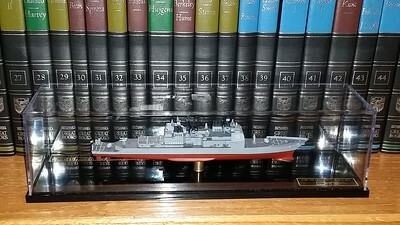 081118: USS Spruance (DD-963), decalled. 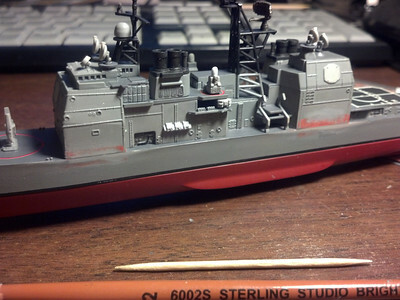 Warning circles are red drawing pencil. 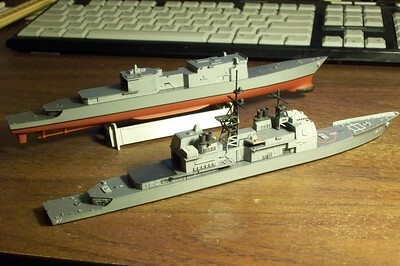 081027: Forced Perspective:Skywave 1/700 USS Ticonderoga (CG-47) on borrowed hull with HobbyBoss 1/1250 USS Vincennes (CG-49). 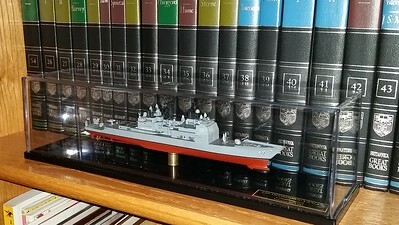 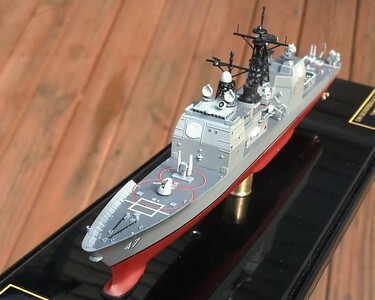 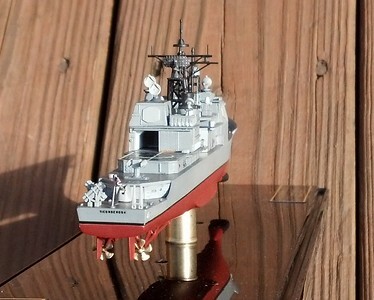 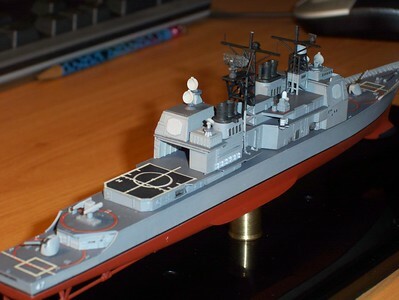 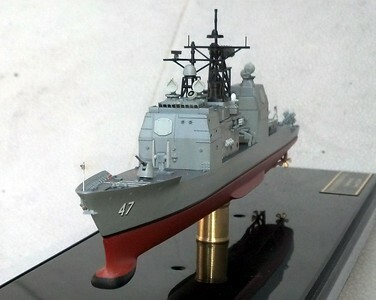 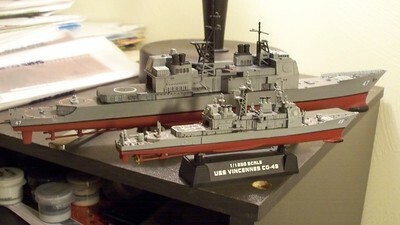 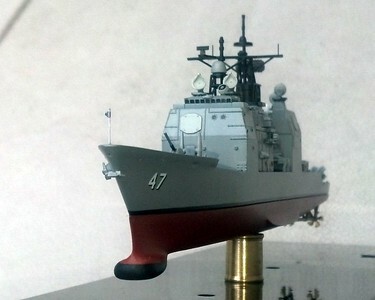 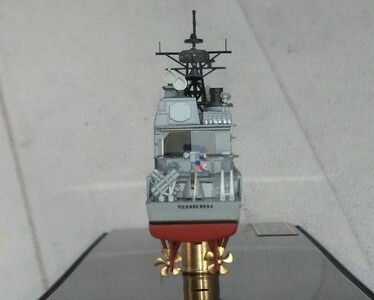 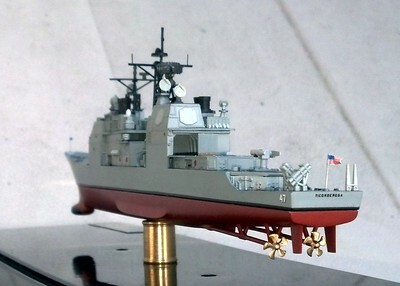 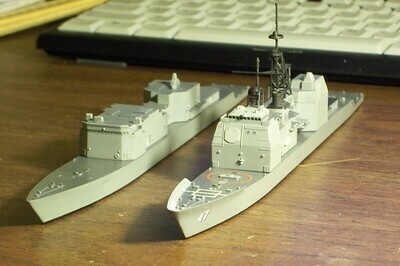 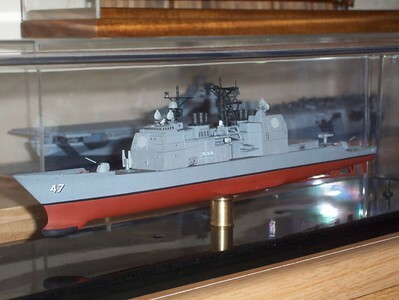 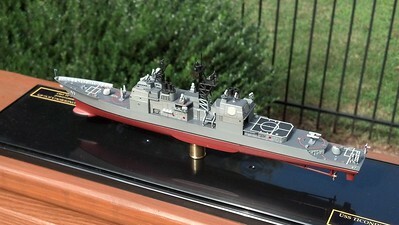 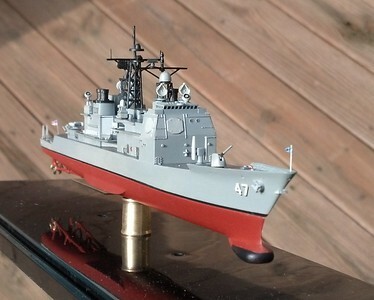 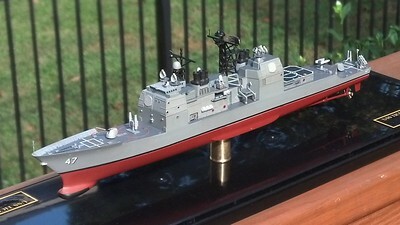 081027: USS Ticonderoga (CG-47) by Skywave and USS Spruance (DD-963) by Arii, both in 1/700 scale. 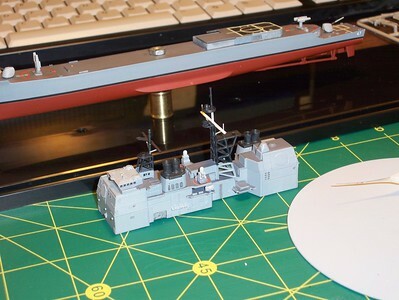 Only the Arii kit comes with lower hull. 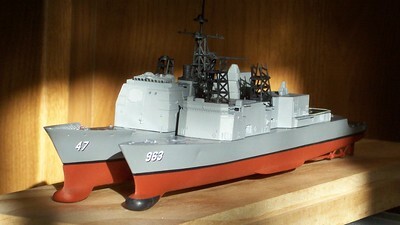 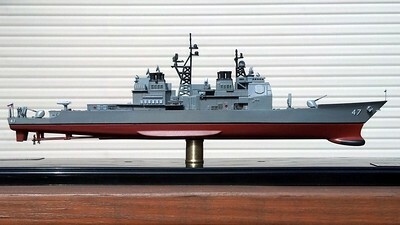 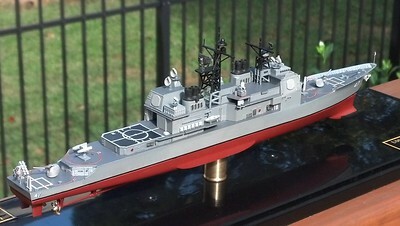 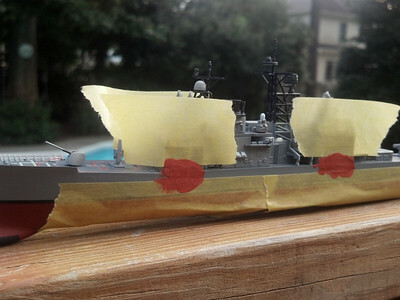 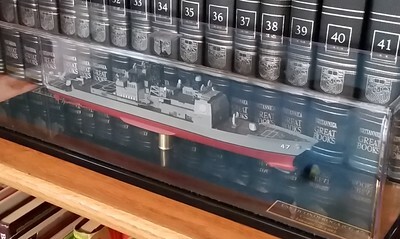 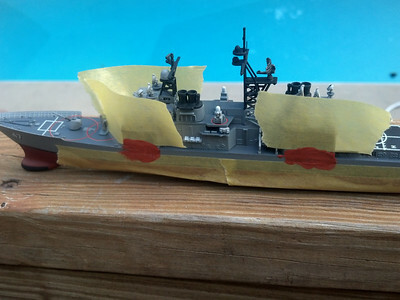 Arii kit is boxed as USS John Rogers (DD-983).